With more than 30 priests and perpetually vowed brothers and almost 30 young men in formation, the Missionaries of God’s Love priests and brothers have re-elected their founder to guide them for another four years. 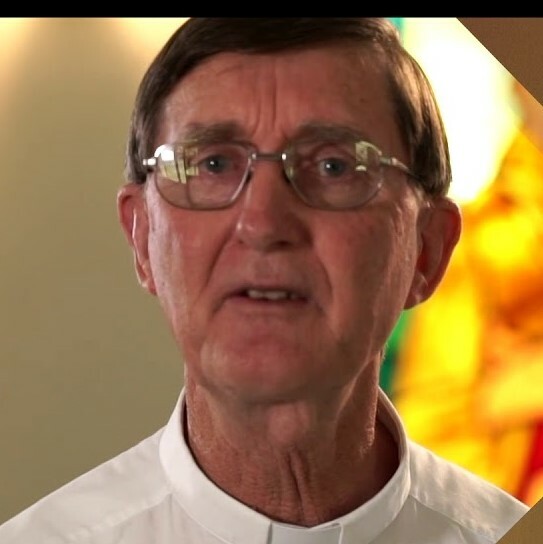 Fr Ken Barker, together with three young men, founded the MGL in Canberra in 1986.Having just turned 70, Fr Barker graciously accepted the task, while reminding his brethren that the next four years would be his last term of office. His reappointment was announced last week during the order’s Convocation in Canberra, which continues until November 27. Among the items for discussion at the Convocation was discernment about how the charism of the MGL could be most effective in the Church today. “After having had a few years of experience in mission, we need to revisit our missionary charism and evaluate the strategies we are using,” Fr Barker said. The rapidly growing order is well-known for working with young people in Australia and now has missions in Canberra, Melbourne, Sydney and Darwin. They are also present in Indonesia and the Philippines. “We work best in today’s world when we are having close, personal contact with people who are hungry for God,” Fr Barker said. “This can be in a parish setting, but also in mission centres, youth ministry situations and outreaches to the poor and abandoned. Read more from Fr Ken Barker below. Q. Why was the order started and how is it unique? A. The MGL began in 1986 when three young men approached me, wanting to become priests but also wanting to remain under the grace of the charismatic renewal and the Disciples of Jesus community. We prayed about it for a year and felt the Lord was wanting to begin a new congregation which would provide a new way for young men to become priests, and live the gospel radically in a brotherhood dedicated to the work of evangelisation of young people and the poor. The MGL is unique because of its origins in a lay charismatic community, and because we are both charismatic and contemplative in expression. While we seek to evangelise using all the charismatic gifts we find the fire to evangelise by spending long hours in adoration before Jesus in the Blessed Sacrament. Q. With the order successfully attracting new priests and brothers, how is the Convocation important in discerning charism? A. The Convocation comes at a critical time in our development. We now have 30 priests working in six different locations: Sydney, Melbourne, Darwin, Manila (Philippines) and Flores (Indonesia). After having had a few years of experience in mission we need to revisit our missionary charism and evaluate the strategies we are using. Our missionary charism is to evangelise under the grace of the new Pentecost experience which has erupted in the Church, especially through the charismatic renewal, over the last fifty years. We are sent to bring the good news of God’s love to all men and women, but especially to young people and the poor. We are looking at how effective we are in this, and seeking new ways to evangelise. Q. How do you see the order working best in today’s world? A. We work best in today’s world when we are having close, personal contact with people who are hungry for God. This can be in a parish setting, but also in mission centres, youth ministry situations and outreaches to the poor and abandoned. The structures we put in place for evangelisation are only as good as our personal journey with people, making friends with the needy, listening to their needs, and offering new hope through the good news of Jesus. Q. What new evangelisation ways do you see as being key to a modern world? a) being present in the digital continent where many young people live most of their lives and offering in an attractive way an invitation to know Jesus. b) working with young men in small groups and in retreats and conferences, offering them a new vision for manhood and a new experience of what it is to be a son of God; helping them to be free of patterns of sin and find healing through the saving power of Jesus. c) we were birthed within a committed lay community called Disciples of Jesus. It is important for us to work closely with lay people in the work of evangelisation; it is great to have the complementary gifts of lay, consecrated and priests working together for the gospel. Building communities of missionary disciples is key to all evangelisation. d) bringing renewal through use of Alpha programs or Life in the Spirit programs which give people an opportunity to really know Jesus personally and experience the new life of the Holy Spirit. e) We join with Disciples of Jesus in the Light to the Nations pilgrimage which draws over a 1000 people, mainly young ones, to celebrate the Easter liturgies under a large marquee and other activities, all geared towards allowing them to encounter the gentle persuasive love of God. f) We conduct Summer Schools of Evangelisation which are week long experiences of the love of God for young people. They come to a deeper renewal of their faith and a new empowering to share their faith openly with others. g) In our parishes we are seeking to build communities of welcome, acceptance, and a refuge for the weak; places where those who need healing can find hope and restoration through the love of Jesus incarnate in the community. We want our parishes to become a light on the hill which draws many simply by the way the community welcomes and relates to the newcomers. We want parishes which are communities of missionary disciples, which can welcome the lost and offer a true experience of new life in God. Q. What are your hopes for the future of the MGL? A. My hopes for the future are: that the MGL will remain faithful to a dedicated life of common and personal prayer, that we would remain united in our calling to give our lives for the sake of preaching the good news of Jesus in season and out of season, that in some way we will be an instrument in helping the renewal of the Church’s mission. As Francis of Assisi heard from the San Damiano Cross the words: “My church lies in ruins, go rebuild my church”, we also feel called to assist the Church today in recapturing the evangelical fire which was present after the first Pentecost. I hope that we can find creative ways to reach the lost, the unchurched, the alienated, and those who have be discarded by the society, those most desperate for the good news of Jesus. I hope that eventually we would be present in many more population centres within Australia and also in many other locations throughout the world. We now have brothers joining us from other countries and consequently are present in Philippines and Indonesia. I trust that in time the Lord will show us further places where he wants us to bring this charism. This entry was posted in Uncategorized on November 25, 2018 by ACBC Communications.